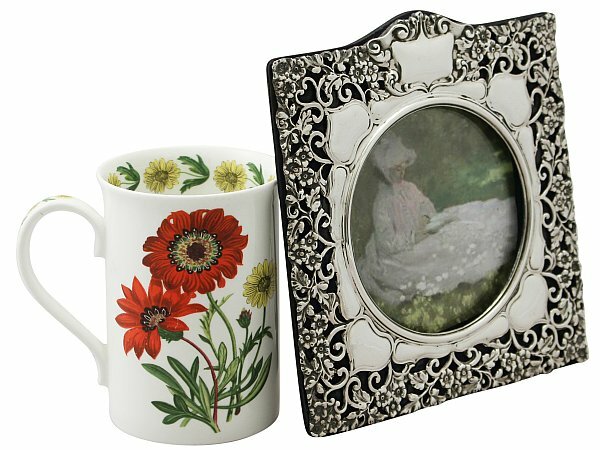 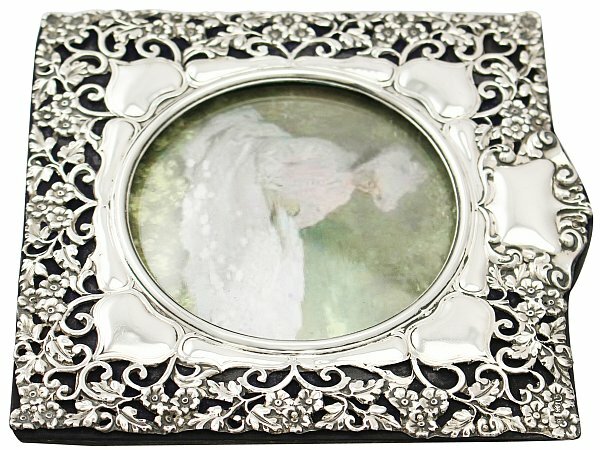 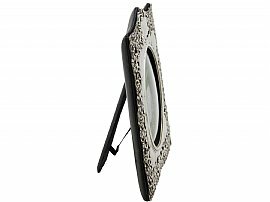 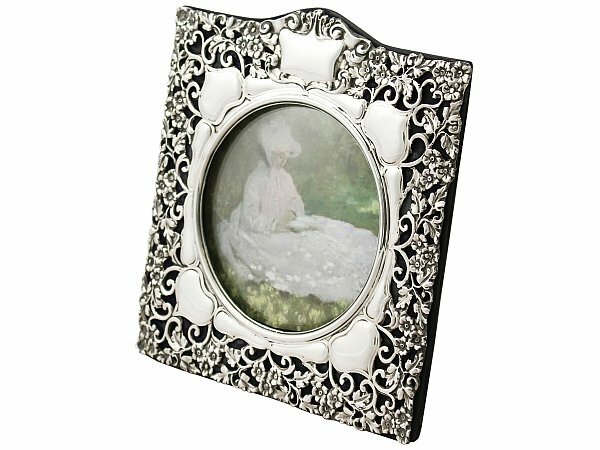 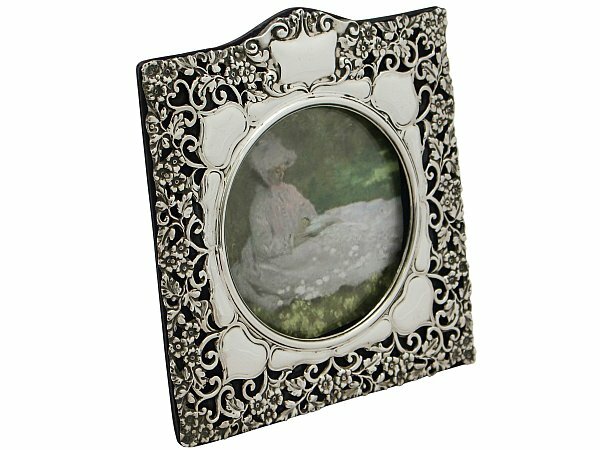 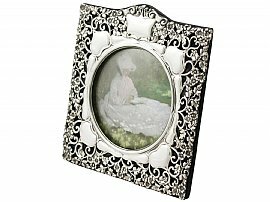 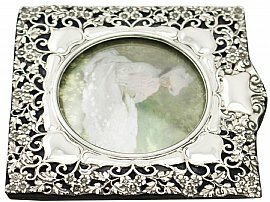 This fine antique Edwardian sterling silver photograph frame has a square form with a domed upper portion. The photograph frame is embellished with impressive embossed and pierced stylised floral, scroll and leaf designs stemming from an organic motif shaped border encasing the circular internal window. 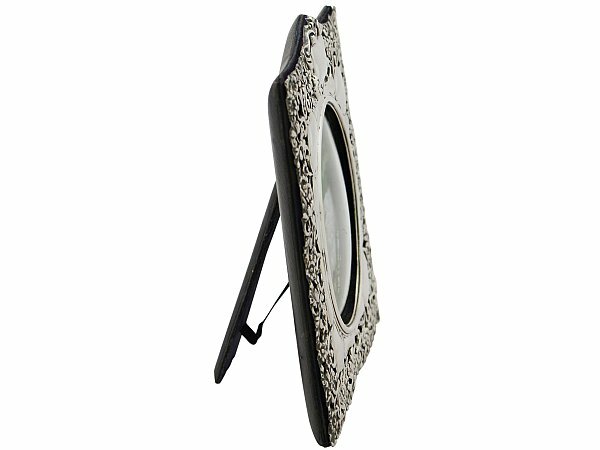 The domed upper border of the frame incorporates a shield shaped vacant cartouche. 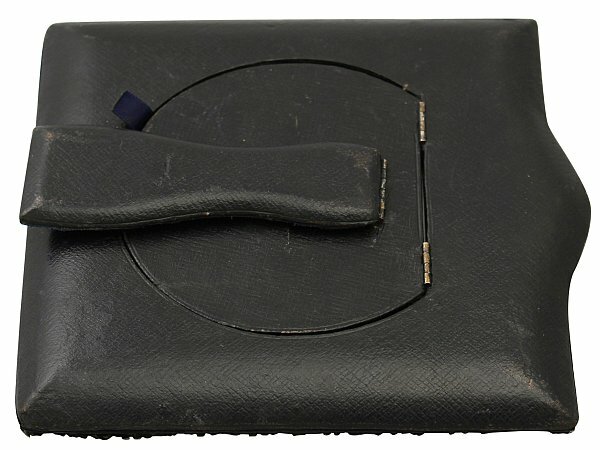 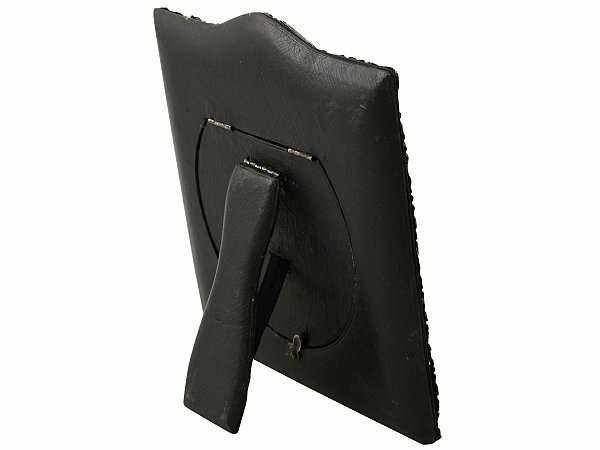 This impressive photo frame retains the original leather covered back and hinged strut, secured with a swivel catch. This fine Edwardian piece is fitted with the original convex glass panel. 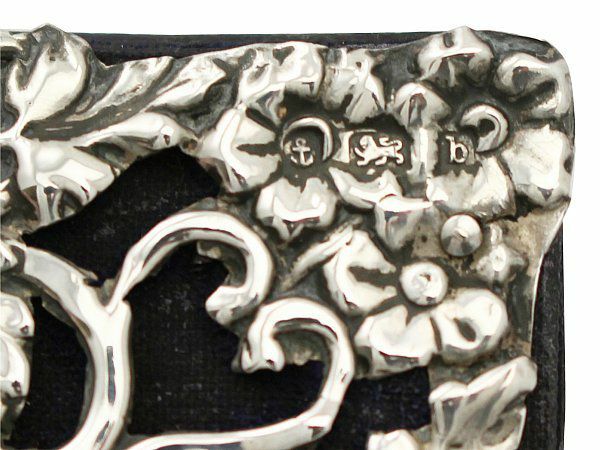 Full hallmarks struck to the surface of the frame, maker’s mark to the top left corner and lion passant, assay mark and date letter to the top right, are all very clear. 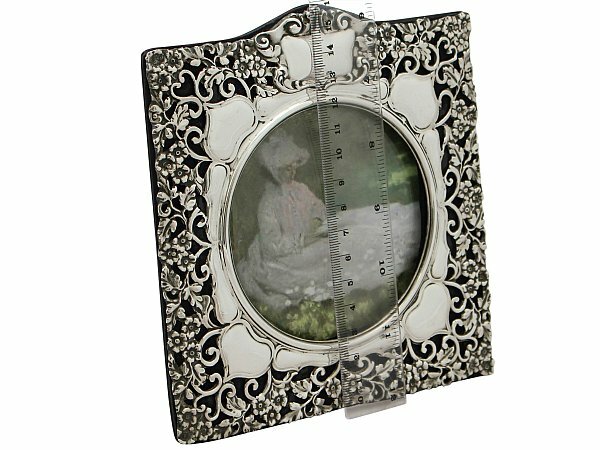 Diameter of internal window 9.3cm/3.7"